According to the Center for Disease Control, treatment of chronic conditions -- those most commonly linked to prolonged inactivity -- account for more than 75 percent of the $2.5 trillion spent on annual medical care in the US. Further, productivity losses due to personal and family health problems cost US employers $1,685 per employee per year, or $225.8 billion annually. Studies also show that employees with just a few health risk factors cost less to insure than employees with multiple health risk factors. Clearly organizations have a strong stake in employee health and wellbeing. And while formal wellness programs have been a popular means to promote better health among employees, organizations can also encourage healthier, more active employees through the thoughtful design of their interior spaces. The following recommendations have been adapted from the Active Design Guidelines’ recommendations for interior design, with a few additions. 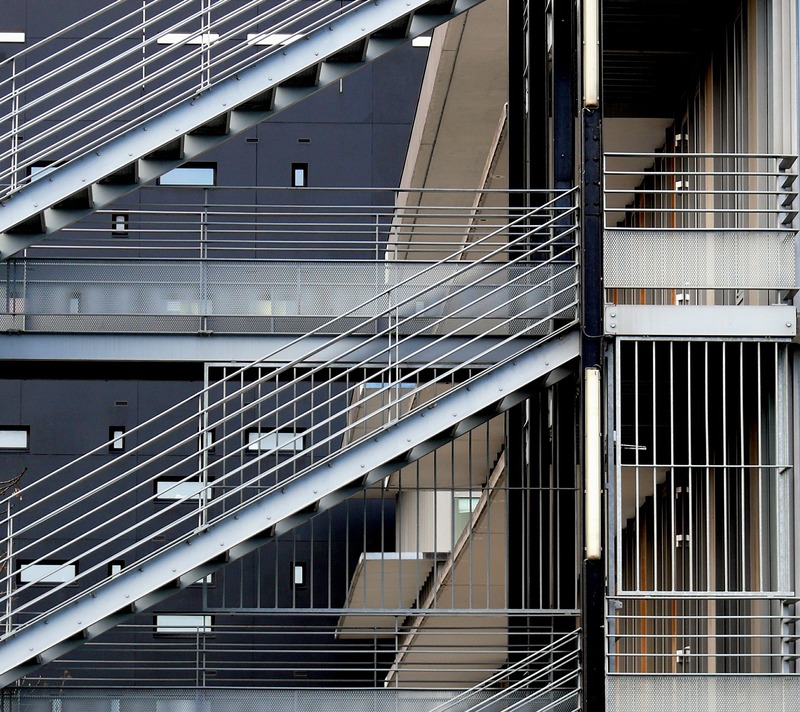 Promote the everyday use of stairs -- rather than escalators and elevators -- by ensuring stairs are visible, accessible, and pleasant environments. Provide adequate lighting and attractive decor in stairwells. Increase awareness and promote stair use with positive or encouraging signage while also maintaining accessible elevators and escalators for those who need them. Relocating key services to a centralized area can promote walking breaks and better contact between employees. Moving functions such as copying and printing from individual workstations to a group location also has the potential to reduce overall paper consumption and IT costs from ink and maintenance. Replacing individual waste and recycling baskets with centralized receptacles can help improve office hygiene and may even streamline the janitorial workload. Encourage walkability in and outside of the building with attractive lighting, signage and design elements. 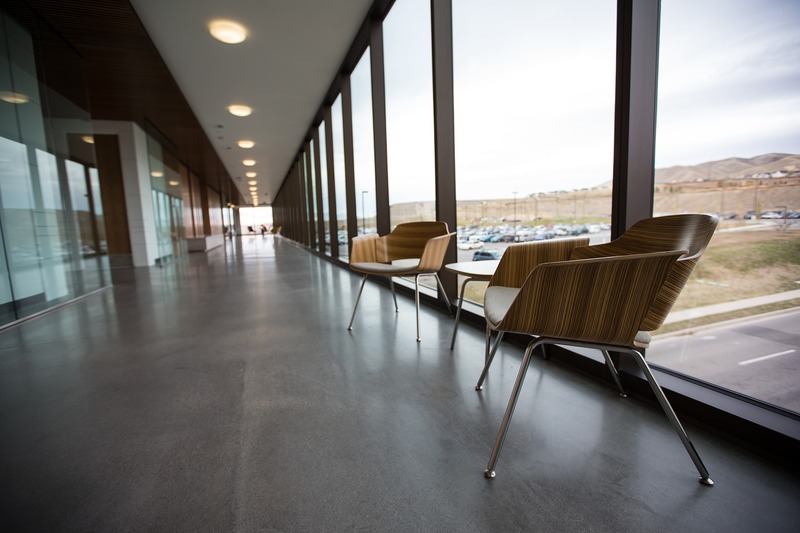 Providing amenities such as restrooms, drinking fountains and incremental distance markers may increase the likelihood of walking meetings or a break-time stroll. Promote daily exercise habits and active commuting by providing locker rooms, showers, bicycle storage, drinking fountains and a designated space for exercising at work. Provide equipment such as spin bikes, yoga mats, free weights, or whatever is best-suited to your workforce or team. Communication boards to coordinate group activities, celebrate milestones,and encourage usage in conjunction with a robust programming strategy can help to ensure good utilization rates. to standing meetings reduced overall meeting times by as much as 30%, with additional benefits for focus and alertness. Creating multiple work points or “destinations” throughout the office accommodates individual work styles and personalities while also encouraging movement. Additionally, this approach helps balance individual needs for focus and collaboration, which has been a challenge of open office planning. Focus Rooms. Providing quiet spaces for heads-down work away from high traffic areas supports the need for privacy and sustained focus in a way that the open office has historically lacked. ped with white boards or simply located in a corridor, these spaces offer a place away from the workstation for non-disruptiveproblem-solving. Lounge Areas. Comfortable areas planned with soft seating and occasional tables provide areas to comfortably take a phone call or dive into email or a long article over a cup of coffee. Tech-Enabled Meeting Rooms. With a growing number of the US workforce telecommuting at least some of the time, small to medium sized conference rooms enabled with teleconferencing equipment facilitate collaboration with those near and far. Providing height adjustable desks gives employees control over their work posture and, by proxy -- given what we know about chronic disease risk and inactivity -- better control over their health. 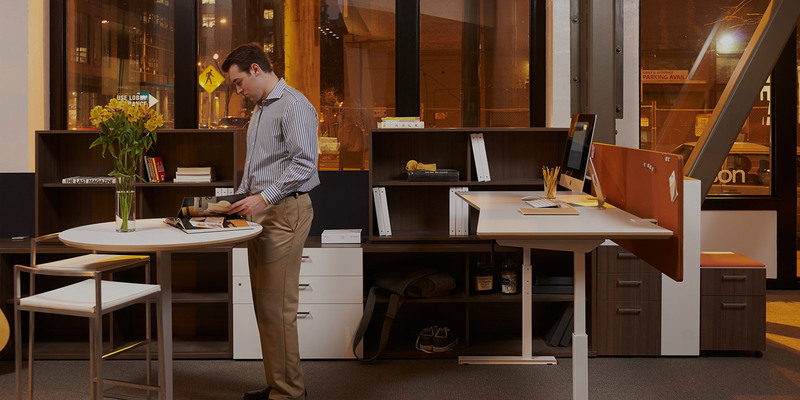 Multiple small scale studies demonstrate that height adjustable desks successfully reduce sitting time during the workday, most by an hour or more each day. Other reported benefits include improved alertness and focus, lessened back pain and better posture. Providing a range of stools, perches and lounge-style seating throughout office work settings can help promote variety in posture throughout the day. Many unconventional styles of seating are in use in offices today, ranging from exercise balls, poufs, standing aids, balance boards, and other variants. Encourage teams to take an experimental approach to seating options and select what best suits their environment. These design suggestions can enhance the conversation around any corporate wellness and brand initiatives; applying just one or more of these approaches has the potential to change your workplace for the better. With the majority of Americans spending well over 40 hours per week in their workplace, the office is a valid starting point for making changes for better health. Organizations stand to benefit from fewer insurance claims from healthier workers, not to mention improved employee productivity and morale. 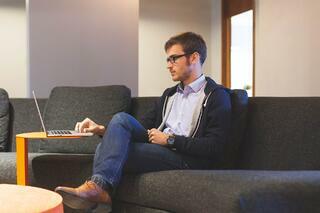 Offices are also an important reflection of brand and company culture, and can be a valuable recruitment tool. Today’s workplaces are highly dynamic, unique environments that require thoughtful and well-designed solutions. Organizations should remember that their office is an opportunity to express their values as well as make a tangible positive impact on employee health and well-being. Got a Meeting? Take a Walk. Nilofer Merchant at TED 2013.